Pruning is an area where many gardeners seek advice and with fruit trees, where the object is to maximise your crop, it pays to understand how good pruning can help. Of course, nature produces apples on apple trees without the gardener’s intervention but left alone the branches grow longer and taller each year and your crop can end up out of reach and difficult to access amongst tangled twigs. Pruning keeps the framework of the tree small and ‘open’ with badly placed and diseased wood removed in winter for all fruits except plums, peaches and cherries which must be pruned when they are actively growing to reduce the risk of disease entering through the cut. For apples and pears, winter is also the time to train fans and espaliers where a frameworks of branches is tied onto a wall or frame making a 2-dimensional tree. Once the structure is established the main pruning is done in summer to allow light to reach the fruit. Wait until the bottom third of new stems is stiff and woody: usually mid-July for pears and mid-August for apples and then cut them back to three leaves from the main stem. Peaches, nectarines and sour cherries only fruit on wood that grew the previous summer so you need a constant supply of new shoots from the main structure. In spring remove all new shoots from the fruiting branch except two near the base. In late summer (September) cut back the fruiting branch to the strongest of the two new shoots and this will be your fruiting branch next year. Plum trees need little pruning once the main structure is formed. 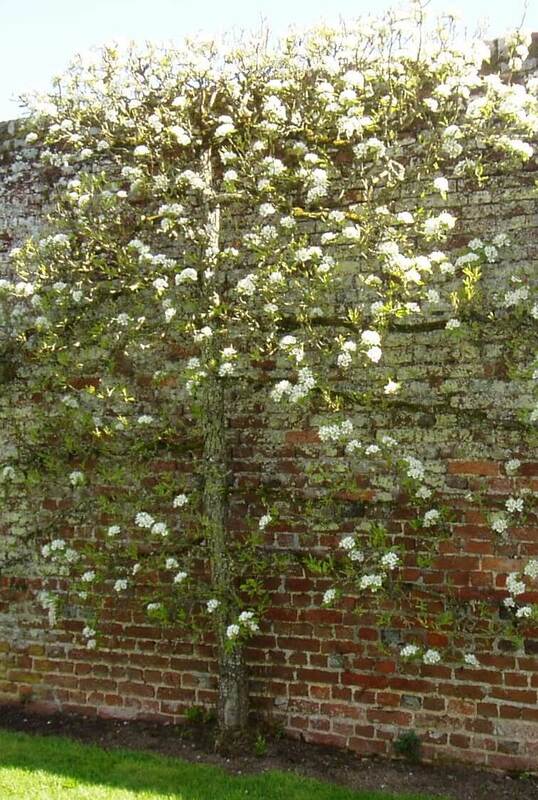 They naturally grow into large trees so make sure you choose one grafted onto a dwarfing rootstock if you need to keep the size restricted in a small garden. Pruning may take a bit of mastering but nothing beats picking & eating fruit fresh from your own tree.